Judaica Gold necklace with the first line of the Shma adorned with Aquamarine. The circle is 2 inch wide. 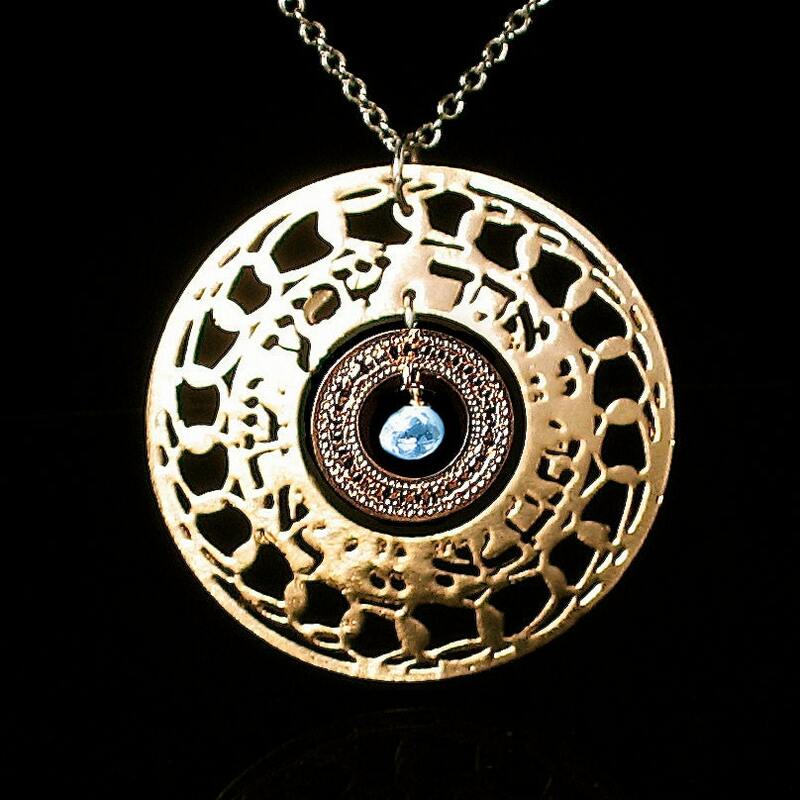 The necklace is made of 14 Karat Gold plated brass and Aquamarine. "Shma Israel, Adonai Eloheinu, Adonai Echad"
"Hear O'Israel, our God is one"
Thank you for looking at my gold Aquamarine necklace I also make other judaica jewelry in my shop, and I'd love for you to stop by and check out the other earrings and the rest of the jewelry sometime.